Have you heard about the theory that taking high doses of the vitamins C and E during pregnancy could prevent the dangerous pregnancy complication preeclampsia? That would be great news, as this condition which has no symptoms other than sudden high blood pressure and sometimes protein spillage in the urine, can turn into eclampsia, and often requires premature delivery to put an end to the danger. Unfortunately, the theory seems to be flawed. 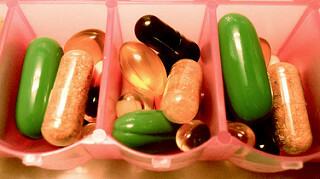 A new study, more precisely a metaanalysis of previous studies, found that vitamins C and E do not prevent preeclampsia. Researchers reviewed nine studies that included 20,000 women. Those who were taking 1,000 milligrams of vitamin C and 400 IU of vitamin E had no decreased chances of developing preeclampsia, even though the mentioned dosages are much higher than what is included in normal prenatal supplements. In fact, those women who took higher doses of the mentioned vitamins had higher odds of developing other pregnancy complications! Why did researchers think these vitamins might lower a pregnant woman's risk of developing preeclampsia? Well, some previous studies indicated that higher levels of vitamins can keep the placenta functioning better during pregnancy, and prevents preterm labor in that way. That is why several studies looked into the idea that higher levels of vitamins C and E could impact the development of preeclampsia which turns up in about five percent of American pregnancies as well. One of the study researchers concluded: "It is likely that although oxidative stress seems to play a major role in the disease of preeclampsia, it may not play a major role in the pathway that leads to preeclampsia." So, what did additional vitamins do? While they did not lower the chance of preeclampsia, they did interestingly enough seem to remove on of the very few symptoms of the disease; protein spillage in the urine. Vitamin C and E in high doses also seem to reduce the likelihood of placental abruption occurring.